This action packed show includes hula hoops, comedy, tall unicycle, Chinese bowl kicking and a ring of fire. 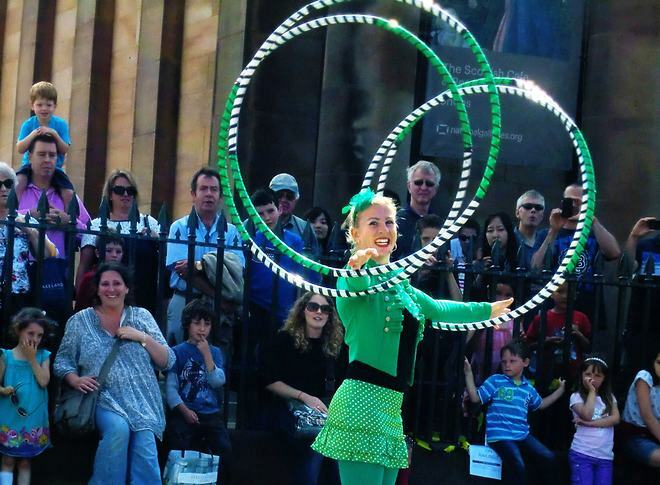 The incredibly charming Tina Green has her audiences laughing throughout, captivating all with her cheerful hula hoop antics and performing some of the most amazing unicycle tricks you've ever seen. hula hooping a ring of fire whilst balancing high on the unicycle. AND she does all this with a smile on her face! Not only is Tina Green's show highly skilful, her presence and interaction with the audience is sweet and endearing. A show for the whole family!